In 1983, Armalite was sold to the Philippine “Elisco Tool Company”. All of Armalite’s Costa Mesa AR-18 tooling went to the Philippines, and Elisco also manufactured M16s. 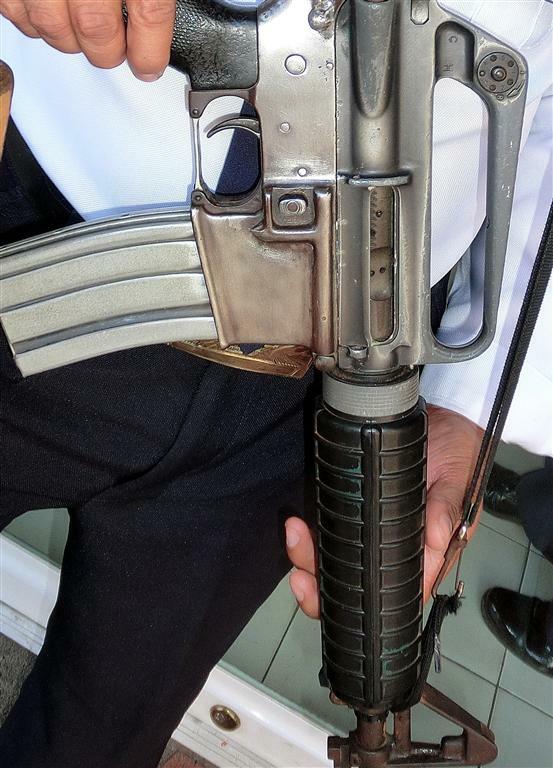 My friend “Zack3g” spotted this Elisco M16 on a recent trip to the Phillipines. I believe it was carried by a hotel guard.